« What vanilla should I buy? Anyone who uses iPhoto probably remembers your first thrill of plugging in your digital camera and magically, with no effort at all, having your photos automatically downloaded for you. Then they’re neatly filed on your computer so you can view, cut, or paste your memories until your heart’s content. Or sadly, just to delete them. So I spent my weekend going through my older photos and realized that I never wrote about one of the most special places in France: Locronan, allegedly the birthplace of my beloved Kouign Amann. Note I used the word ‘allegedly’. I’d been told by several French folks that the town is famous as the lieu de naissance of this buttery cake. But when I asked at the Office de Tourisme, the woman there had no idea what I was talking about. And wasn’t all that interested in pursuing it with me either. So I’ll let someone out there do the research since I’m too involved in burning photos onto disks all weekend. But even though Locronon may not the be the birthplace of this famous Breton Butter Cake, it’s certainly become the epicenter for lovers of butter & sugar bound-together. Although the town is teeming with tourists who come to gawk at the granite buildings and churches, the town is also teeming with other fans of the sweet-stuff: les guepes, or yellowjackets. Every bakery had swarms of the lil’ stingers flying all around, hundreds of them are everywhere, feasting their wings off on the sugary treats and tartlets for sale, like the rhubarb ones above. The women who work in the bakeries must’ve made some top-secret pact with the bees since they showed no fear of them and would swat ’em away while packing up tarts and cakes. We decided to use the bees as a guide and follow their advice, since they’d probably know which was the best Kouign Amann in town. Like truffle hunters use pigs and dogs, this pastry-hunter decided to follow the bees, and I reasoned the places with the most yellowjackets would have the best pastries. I took lots of notes, but getting buzzed on all that butter and sugar, each tart seemed to be sweeter and more delicious than the previous one. Soon my hands were trembling and I had to stop my journalistic reportage. And although anyone else probably would have called a draw and stopped, I kept going. At Le Guillou, above, the disks were larger and packed with apples, or just sold nature, unadorned with anything but their crackly sugar glaze. Tell me, how could I refuse? Another Breton cake that’s perhaps slightly more well known (at least in France), is Far, which means ‘flan’, and is highly-popular and often eaten as le snack in France. Unlike their Mexican counterparts, which I generally prefer, the French version is mondo rich and contains flour, and is often baked like a tart or cut and sold in bars. (It’s not sold in bars, like places where you have a drink. It’s sold in bakeries. Another quirk of the English language…) The downside is they’re often un peu lord but sometimes they contain flambéd prunes which, believe it or not, I find lightens things up a bit. But when I find a good Far that’s light, airy, and doesn’t look like it’s gonna sit like a rock in my tummy for 36 hours afterwards, I’m satisfied. And the one above was one of the best I’d tasted, although in this instance, the yellowjackets were an unreliable source, perhaps for the lack of sugary topping. 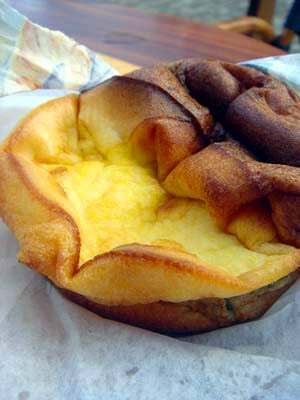 Although it looks like a puffy omelette, it was delicate and eggy, with a toasty-golden top crust—whoever made it certainly had a deft touch. But by far (darn English!…no pun intended) the best Kouign Amann we tried was at La Torchette, the pastry shop of chef George Larnicol. Although primarily known for his Torchette cookies, with seaweed and advertised as ‘sans beurre‘, we were transfixed by the two huge rooms with bins full of Kouignettes lined up all around us. Chef Larnicol makes mini-Kouign Amanns in a variety of flavors, from coconut to chocolate to lime. But I skipped them all in favor of caramel-beurre-salé. And one bite outside made me realize I’d made the right choice. I think it was the best Kouign Amann I’d ever had. And the scary thing is, they deliver! I took an order form but lost it, which is probably a good thing. But in case you have less restraint than I do, their phone number is 02 98 91 70 04, fyi. 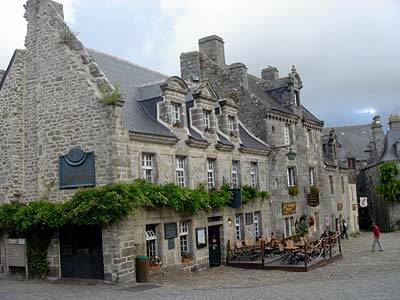 They also have shops in Beg, Meil, and Pont-Aven. What is this odd language with which we speak? For the ambitious, you’ll find my recipe for Kouign Amann here with step-by-step photos. For those who want a simpler recipe, here’s a French recipe from a postcard I bought in town, which I’ve translated directly and simplifies the process a bit. Délayer la levure dans 3 cuillerées d’eau tiède puis le mélanger avec la farine. Ajouter le sucre, puis la beurre. Donner 4 tours comme pour un feuilletage. Lassier reposer 15 minutes entre chaque tour. Placer dans un moule beurré. Rayer à la fourchette et mettre au four. Saupoudrer de sucre aussitôt sorti et servir tiède. I just hate you for posting this in the front end of my annual Lenten diet! Anyway, the bugs are finding sugars, not cake. See how mad I am? Oh, and CDs or DVDs aren’t stable, either. I am using FlickR for publishing backup, and I hope it is more stable than the discs. There are so few places I’ve been to in France (never to Paris for example). Sigh. Fun finding out about this spot. You must indeed be in a land of abundant treats if you can withstand ordering those kouignettes by the box on a regular basis. Steve: Well, if I could find that darn order form, I’d be ordering them right now! I’m not sure what model Mac you have, but if you upgrade the video card it may alleviate the slowness of iPhoto. We had to do so before installing Aperture (which rocks, btw) and it made iPhoto blaze. We installed the ATI Radeon X800 XT. I think it cost a couple hundred bucks. There’s no reason that 1k images should slow down iPhoto at all. Even my modest libraries on my slower machines have thousands of photos. Try rebuilding your index. When you launch iPhoto hold down command and option until the dialog appears asking if you’d like to rebuild your library. Hi David: Well, that’s what they told me at the Apple Store last time I was in the US. Grrrr. I will try your suggestion. 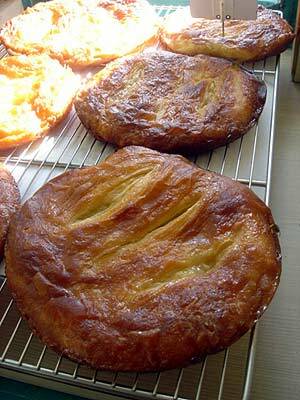 Drool… I have been meaning to make your Kouign Amann recipe for FAR, FAR too long now! If you need any help with apple products go their website and visit their support/discussions pages. There are many willing helpful folks there. Regarding iphoto, I have libraries with 10,000+ photos that have no speed issues. Do you have a recent version of iphoto? Early versions were slow. 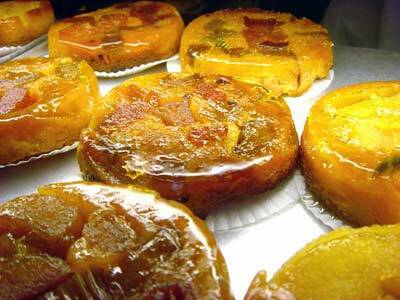 The only place in NYC that had a decent Kouign Amann was Fauchon and that just closed over the weekend. I could so easily go off to this place, Locronan without a look back at the scale..
a few years back i worked at fauchon in NYC, and every morning there’d be a bucket of the pastry ‘rejects’ apparently not suitable for the store. i’d dig for their kouign amann- my FAVORITE! i’m so glad you posted a recipe and reminded me about how good they are- i’ll have to try! thanks! Might you offer a suggestion as to what sort yeast – the post card recipe seems to demand yeast and not baking powder – is called for? Is it the same stuff available in foil-wrapped cubes at US supermarkets or a more potent one used by professionals? I’d really like to get this right. Thanks for any guidance. Oh, damn you. Three years a coeliac without pain (much). I’ve resigned myself to the end of danishes, croissants, fresh bread and portuguese custard tarts and you have to foist this- this- outrage on me. You know, I dreamt about these the other night, and now I find they exist, and have a name, and other, luckier people get to eat them. You could have left out the pictures. Let us know how the recipe from the postcard turns out! It’ll be interesting to hear. Carol: Someone told me Jennifer Hamilton at Prune makes a good Kouign Amann. Maybe you need to do a search-and-devour mission! I’d so much rather visit and devour in the place of origin. You’re always giving us something new to long for…sigh..
That brought back memories! 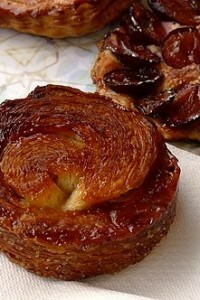 I love Kouign Amann (and a good Far with prunes), but it’s been over 20 years since I was in Brittany. 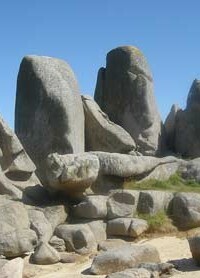 I don’t know if I’m up to making one myself, so I may have to plan a trip to Brittany soon. I can’t believe my quest is ended on a mere “open in new tab” click. For years I have been looking all over for those kouignettes that we had tried from this “meilleur ouvrier de France” baker when on holidays in Brittany. And all in time for father’s day, how surprised hubby is going to be when the kids give him that on Sunday along with the classical(and yet still lovely) hand print t-shirt from daycare. Hi!! 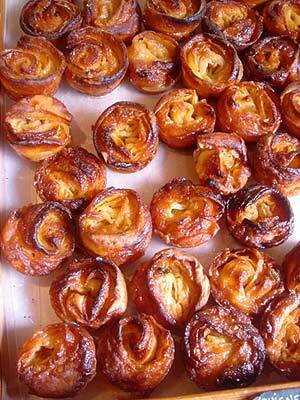 You have no idea how excited all these posts about Kouign Amann and Brittany make me. I spent a gap year there and miss the butter on a daily basis. I was never a butter person before. Your photos give me “mal du pays”! I also loved loved loved Locronan, and was lucky enough to live not far from there. I’ve read your blog a lot, and used some of your recipes several times over (the zucchini cake, and the salted butter chocolate chip cookies…). 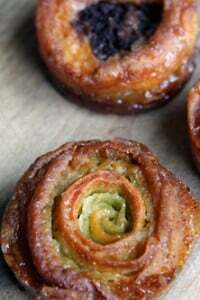 Can’t wait to try making that kouign. Thanks for bringing me back to Penn ar Bed!